Those are the words that every shadowrunner knows by heart. To some they were the first words that greeted them when they cracked open a rule book or looked on the back cover. To others they form a mantra. Those last 8 words are also absolutely true. To a teenage mind, those words were like a fishhook. Shooting? Ammo? Dragons? How could you stay away? Imagine The Matrix, if Trinity was an elf and the machines were some kind of omnipotent megacorporation. Imagine trolls on motorcycles. Imagine if Smaug ran Halliburton. 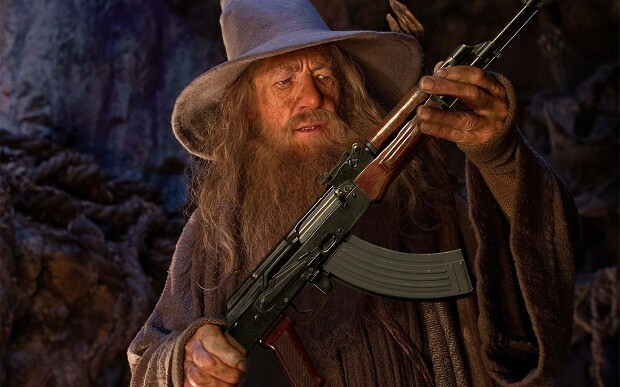 Imagine if Lord of the Rings had guns and cybernetic body parts. We�d be screwed. So very, very screwed. 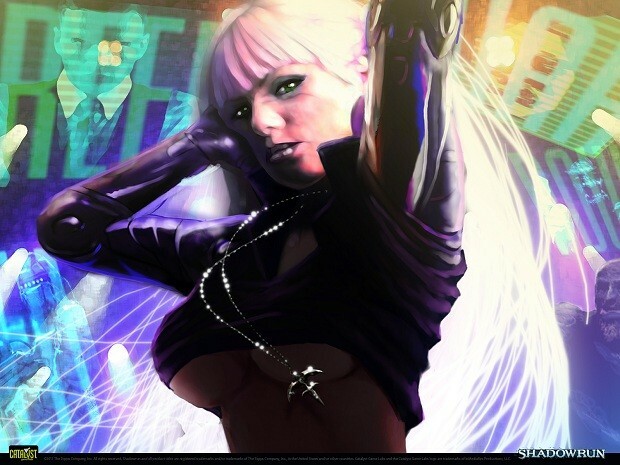 That�s a hell of a premise, one that that Shadowrun pays off in spades. 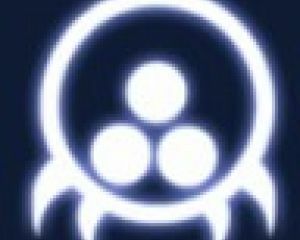 For the unawakened, Shadowrun takes place sometime between 2050 and 2070. The future is not a pretty place. If the cyberpunk dystopia wasn�t enough, in this future mankind has experienced something called The Awakening, and with it, goblinization. Magic has returned the world and it wasted no time in screwing everything up. Dragons show up (naturally), mages start popping up all over the place and people discover very personally and traumatically that their ancestors might not have been as human as they�d believed. The titular shadowrunners are a varied bunch; mercenaries for hire, information runners, smugglers and fencers. People with little to lose and a whole lot to gain who aren�t afraid of doing dangerous things and dealing with powerful organizations. They live in the shadows off the grid, dodging the incorporated police force known as Lone Star and taking contracts where they can. Occasionally, their employers actually hold up their side of the bargain. 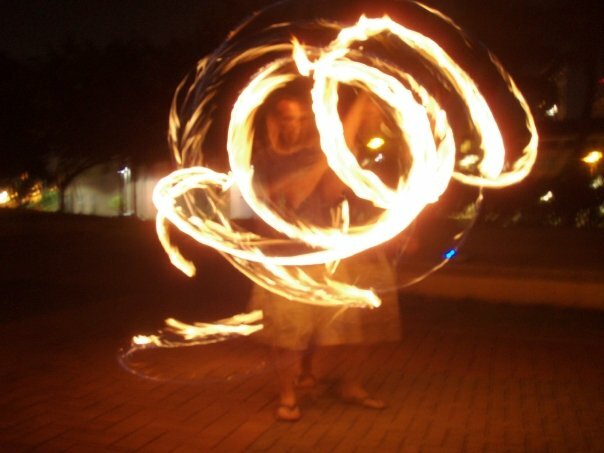 Teams of them consist of a myriad of personalities and talents, some of which include the famous, bushido-obsessed street samurai, magic-wielding shamans or mages, hackers and riggers who send their consciousness directly into the internet or into their vehicles, shapeshifters and more. It's like The Breakfast Club, except with elves, mercenaries and a lot more people die. You can see, quickly, how such a premise would make for an awesome video game. After watching the trailer, all I can feel is excitement. It�s clear from the design, the game systems, the characters and the dialogue that Harebrained Schemes knows the world they�re building, knows the audience they�re catering to and actually, genuinely cares about it all. Thankfully Harebrained Schemes is here to unfuck the property. When I first heard about it, I was skeptical, but little could be worse than the digital abortion that was 2007�s Shadowrun. 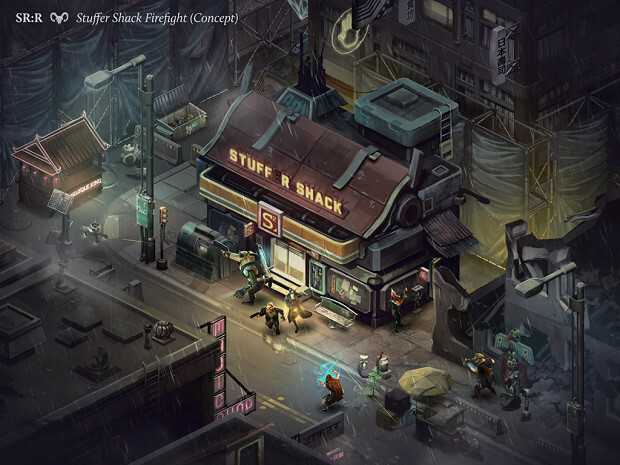 I�d always pictured the perfect Shadowrun game as a sort of Grand Theft Auto clone with a strong co-op centric focus. You could have your street samurai and mercs mixing it up in the streets while your riggers offer support from remote controlled attack drones. Mages would keep the area nice and on fire and hackers would function in a sort of Watch Dogs style capacity, turning street lights against the authorities, hacking bridges and unlocking doors or gates. Sadly that�s not a vision that the current market seems willing to support, and I approached the first look with cautious hope. What I found was something amazing. Beyond the clear admiration and love for the original source material, Harebrained Schemes has gone the countless extra miles to satisfy everyone who�s ever played a Shadowrun game in any form. 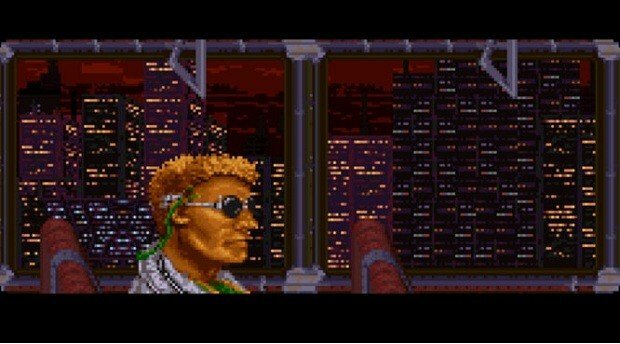 The moment an NPC was revealed as Jake Armitage, protagonist from the 1993 SNES Shadowrun, my jaw hit the floor. He even was sporting the dopey sunglasses he stole for a disguise. When the battle music kicked in, a reimagining of the same game�s combat theme, I was stunned. Then I learned that they�d gotten the composers from both the SNES and Genesis versions to do the soundtrack. Our hero protagonist, Jake Armitage. Throw in a robust editor through which the entirety of the actual game was made and you have a product that offers limitless possibilities. My interest in this runs deep. Shadowrun is an important property to me. It�s the game that defines my life and my start as a gamer. It was the first tabletop RPG I�d ever heard of. It wasn�t the first tabletop RPG I played (that honor goes to Mechwarrior 2nd edition) but it was certainly the one I played the most. From hiding in the stairwells at school with my friends to running 13 player games out in Colorado, I can safely say that it�s the one tabletop I grew up with. The SNES game deserves mention here as well. Despite being a bit liberal with the rules system the game absolutely nailed the atmosphere and setting. For its time, it was groundbreaking. 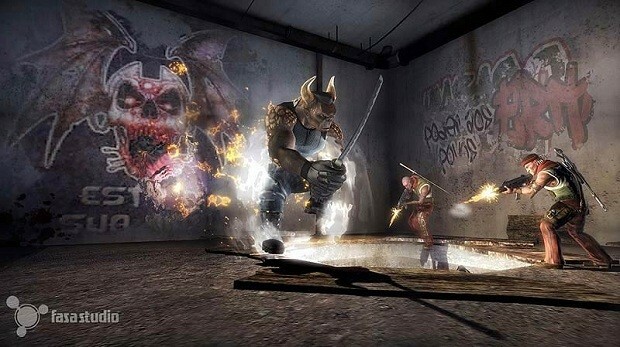 The opening scene of the game showed you being brutally gunned down by a hit squad. You weren�t even a good guy by any sense of the word... Jake Armitage was a Shadowrunner and an information courier. Sure, he could be nice to people, but this was a man who killed people for money. He stole from corporations and hacked bank accounts. He hires other killers to work for him. He doesn�t even go through anything like a redemption story... he�s just out for revenge. Add to that a flat out awesome soundtrack and have a hell of a setup. Watching that first look Harebrained Schemes released made me grin like a madman. 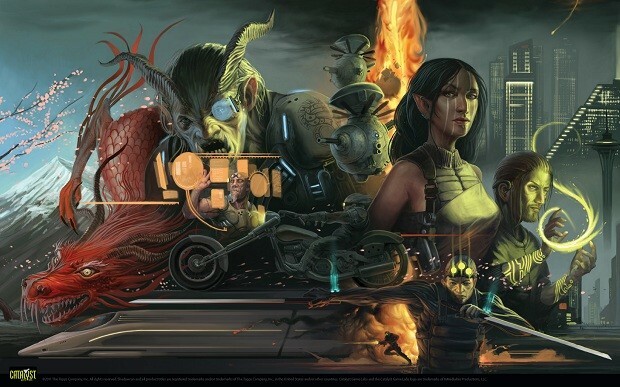 To know that there are talented people in the industry who clearly want to make a game that includes and defines what Shadowrun means to so many different gamers is like a breath of fresh air. Nothing is more depressing than watching your favorite, most beloved property be wrung out, chewed up and pushed around for a cheap money grab. To know that it�s finally getting the attention it deserves is worthy of applause. Thank you Harebrained Schemes. I can�t wait to see what you can do.